I’m not a huge fan of the Coen brothers and their films. They’re fine. They have a certain style that either you love or hate. Like Tarantino. I wouldn’t blame someone for not liking Tarantino. So knowing that, you may have a drastically different reaction than me. Eddie Mannix (Josh Brolin) runs a film studio and is trying to juggle various productions while all sorts of crazy shenanigans happen, most notably the abduction of one of his biggest stars, Baird Whitlock (George Clooney). 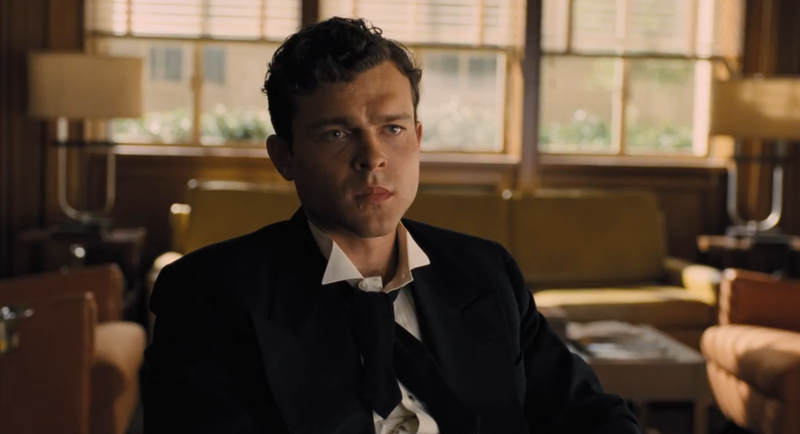 We also have a cowboy actor (Alden Ehrenreich) who is moved over to a drama picture and struggles quite a bit. We have some side characters played by Scarlett Johansson, Channing Tatum, Jonah Hill, Tilda Swinton, and Ralph Fiennes. The heart and soul of the movie (at least for me) was Alden Ehrenreich, who is the only relative smalltimer in this cast of giants. Everyone else was fine, don’t get me wrong, but it all felt pretty stale and boring. Ehrenreich however stole the show. He begins a bit annoying, as a cliche cowboy from wild wild west pictures but it’s when he gets moved over to a drama that his character comes alive. Not in the way you’d expect, but in a way that feels absolutely genuine. He’s out of place and he has subtly and his performance was actually really incredible. 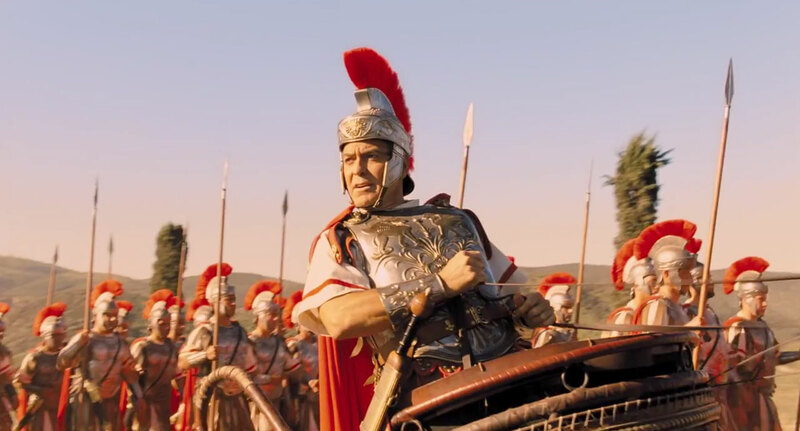 Clooney also does a fine job, though he’s the same George Clooney that you know and expect. Not much beyond that and his character only exists for the plot, we don’t learn anything about him other than the fact that he’s been abducted. But he’s funny and charming and everything else you’d expect. The movie is also relatively clean, in terms of editing and pacing. It’s technically done very well. This isn’t the Coens’ first time around the block. Here’s the problem. Josh Brolin has significantly more screentime than everyone else. He’s the star. His storyline however is completely unengaging. He’s trying to figure out what’s happening with the abducted movie star but he gets sidetracked with these plot lines that 1.) don’t matter to the central story and 2.) aren’t interesting on their own either. We watch an entire song and dance number with Channing Tatum that really only serves to make a moment later mean something. We have a strange subplot where Johansson finds out she’s pregnant and he has to figure out a solution. I firstly wanted to go back to Ehrenreich’s story, I secondly wanted to go back to Clooney’s story. 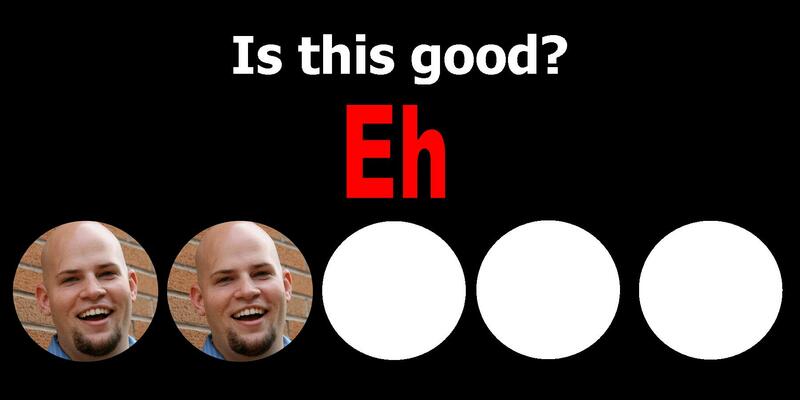 That’s a big detractor. Most of the movie I was bored by. Even the final scene, I started to daydream and missed the last lines of the movie. Credits started rolling and I realized just how little I cared about this whole thing. Can’t even really tell you how it ended. Not good. Aside from not caring about most of it, I also was downright confused by parts. There’s a subplot (you’ll get this if you saw it) that shows up out of nowhere and I literally said “Whaaaaaat” to myself. Luckily I was the only one in the theater. I want to re-emphasize this. I’m not a huge fan of the Coens. I liked No Country for Old Men and I somewhat liked Burn After Reading. This one didn’t strike the right notes for me but that’s not to say that fans of the genre won’t be entertained. For me… I found the story relatively uninteresting, only a few characters even likeable, and the plot went to a place of absurdity that I wasn’t prepared for. Ehrenreich gave the only complicated performance, while Clooney delivered exactly what you’d expect. This entry was posted in Movies and tagged adam ryen daniels, alden ehrenreich, channing tatum, coen brothers, george clooney, hail caesar, i am your target demographic, iaytd, jonah hill, josh brolin, ralph fiennes, scarlett johansson, tilda swinton. Bookmark the permalink. 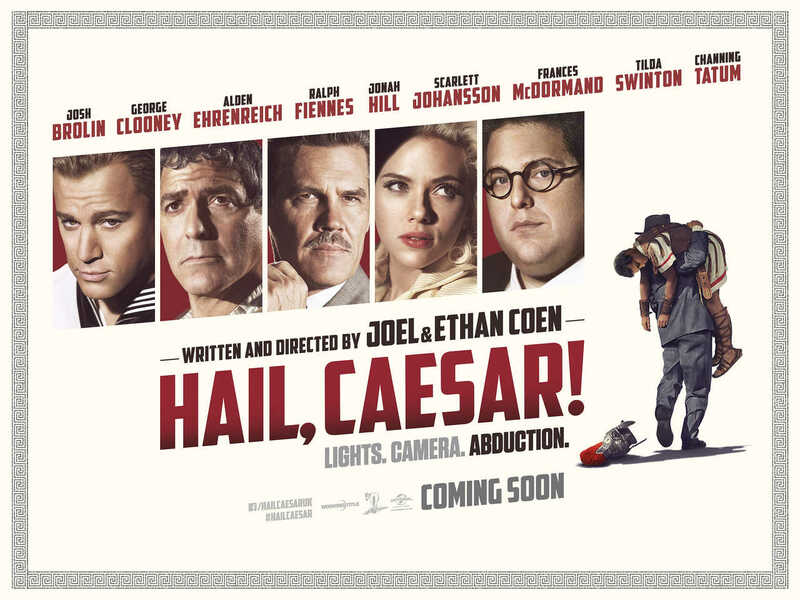 1 Response to Review: Hail, Caesar! It’s fun, but that’s about it. Which is kind of disappointing, considering what we know from the Coens. Nice review Adam.